The Half-Price Bookstore. 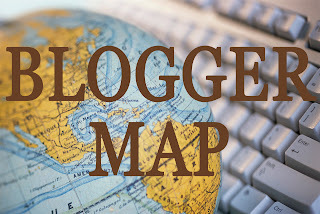 Have you ever been there? It opened a long time ago, (a few months) but I've never been there. There was a book store like that by my parents house, and I went there with Josh and it was pretty cheap. Like all the books were just sitting on tables, and it felt like a garage sale instead of a book store. So anyway, it went out of business. Last night I was telling Josh that I would probably just have to buy this book he wanted because whoever has it checked out at the library is keeping it. I have seriously been on the hold list for over two months for it, and I'm still 8th in line. Anyway, he suggested we check the half priced store. So this one is conveniently right on my way home from school. Today, the only thing waiting at home for me after class was my homework, so I stopped at the book store. And it is AWESOME. This one has shelves and everything like a real Barnes and Noble. Their price stickers are even like them. I took some pictures of my favorite things. I was looking for a Prince CD. I'm not sure if you know this or not (you don't), but when I was little I absolutely couldn't stand to listen to Prince's music. Every time it would come on I'd tell my dad to turn it off, or I'd make fun of his voice. And pretty much everyone else in the world likes him. I decided I was going to listen to him so I could cross off another thing I hated as a child on my goal list. I didn't find one though that I wanted to buy. 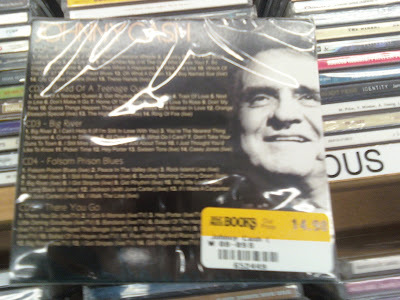 I did want to buy this though...It is five Johnny Cash CDs for $15. That is $3 per CD! 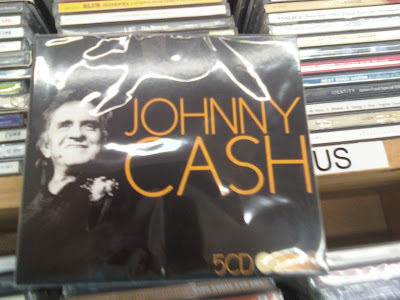 The Man in Black deserves better than the Half Priced Bookstore. 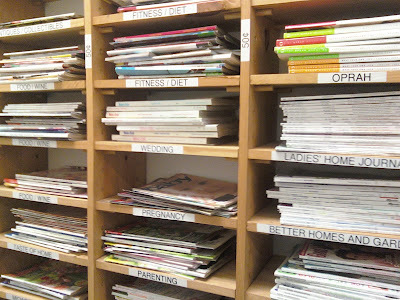 They have this whole magazine section, and they are all $0.50. It was pretty cool because they had a lot of decorating ones. They even had wedding ones, which is a great deal because buying one of those will set you back a whole paycheck. Sidenote: Dear Libby A. from Phoenix, AZ, You should probably make sure you use something better to hide your name and home address before you sell your magazines to the Half Priced Bookstore. Just in case. You're welcome for me not posting your full name and address. I wouldn't want to be the reason why some psycho found you. You're doing a good enough job of getting yourself out there. 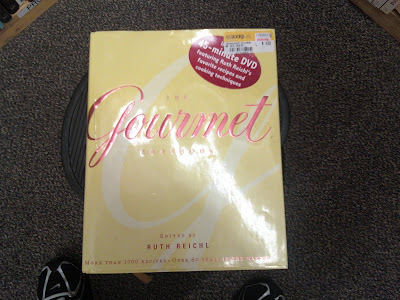 As soon as I saw this Gourmet cookbook I snatched it up. The list price on this book is $50. The Half Priced Bookstore is selling it for $4. $4! I decided to put it back though. 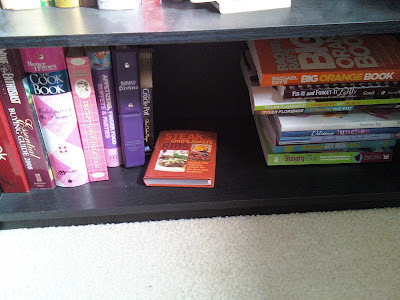 This is my cookbook shelf. And they aren't even all on there. If I need a recipe, I'm pretty sure I have access to it.